Welcome To The Patient Participation Group (PPG) Page - Patients Have A Voice! As part of the NHS reforms which came into force in April 2014, each GP Practice is required to establish a Patient participation Group (PPG) to represent patients’ views on how well their Practice is performing in meeting the needs of their community. The Buxted and East Hoathly Medical Centres were quick to establish a PPG. A small Committee of volunteers, representing a cross-section of patients from both surgeries, meet on a regular basis. The PPG's main purpose is to ensure that the services provided by the Medical Centres are responsive to patients’ needs and that where necessary improve over time. Part of the remit of the PPG is also to carry out research and to hold health awareness and information events and displays. We can also help patients to find additional services and support for their condition in the community. The PPG mount displays in the waiting areas at both surgeries on a range of different health issues, where leaflets and flyers are available. Displays cover various topics such as; Asthma and Allergies, Arthritis, Diabetes, Healthy Living, Mental Health and Sexual Health to name but a few. We welcome other ideas. We will seek the opinions of patients at regular intervals throughout the year. The Doctors will survey patients attending the surgeries at the start of the year. The Patient Participation Group (PPG) will carry out another survey around October coinciding with the annual ‘Flu Jab’ days. 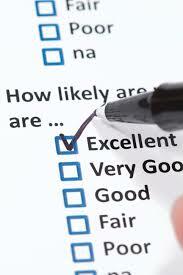 The PPG survey will try to capture the opinions of patients who do not visit the surgery very often. Your opinions are important and help to improve the services provided by the practice.